Juninho scored his 28th free-kick wearing a Lyon shirt, beating his 24th different goalkeeper with a set piece. It was also his 66th goal for OL, putting him ahead of both Kabongo and Cavéglia (65 goals) in the club's all-time record list. Troyes shot 11 times at Coupet; 3 times in the first half. 4 shots was on target, 5 were blocked, including one off the crossbar, and 2 off target. 6 shots came from outside the area and 5 from inside. Grégory Coupet made 9 significant saves. OL obtained 4 corners; Troyes 7. 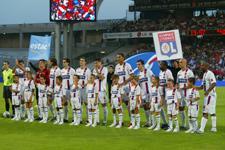 OL received 18 free-kicks against 11 for Troyes. 3 offsides were called against OL (all Wiltord) and 0 were called against Troyes. 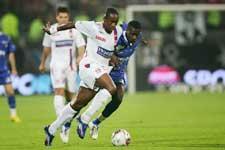 In terms of ball possession OL finished with 21 minutes and 26 seconds compared to 18:46 for Troyes. 98 shots taken by OL with 31 on target, 28 blocked and 39 off target. 53 from outside the penalty area and 45 from within. Juninho 17 shots (1 goal), Malouda 16 (2 goals), Carew 12, Benzema 10 (3 goals), Fred 7 (2 goals), Tiago 8 (1 goal), Toulalan 6, Källström 4, Wiltord 4 (1 goal)... 12 goals scored (4 left foot, 4 right foot and 4 headers; 2 from corners, 4 from crosses from the left and one from the right, 1 direct free-kick, 1 from a free-kick and 1 penalty; 11 goals all from inside the area). 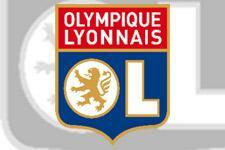 OL’s opponents have taken 55 shots with 19 on target, 9 blocked and 27 off target. 30 from outside the area and 25 from within. 4 goals (3 right foot and one header; one free-kick, one from a free-kick and from a cross from the left; one goal from outside the penalty area). 105 free-kicks for OL and 88 against. 11 yellow cards: Tiago 2, Juninho 2, Cris 2, Malouda, Fred, Cacapa, Berthod, Källström. Tiago, Juninho and Cris will be suspended for one match if they receive another yellow card in the next five games. Toulalan is the only player to have played all 450 minutes. Benzema, Fred and Kallström have played in all five games.. The central defensive pairing of Cris-Squillaci started for the first time this season at the Stade Gerland. They form the 26th central defensive pairing since the 2001-02 season. Mathematically, OL has 13 points, the same number they had after five games last season. They had 7 in 2003-2004, 8 in 2002-2003, 11 in 2004-2005 and 12 in 2001-2002. In Lyon, as it’s been for the last seven years, the month of September and the expectation of Champions League football grips the club’s fans.